A spirit permeates Western society of ignoring the harm caused to others, especially if it’s for one’s own gratification or convenience. Racism, homo- and transphobia, ableism and sexism are behaviors that demonstrate that spirit. They damage, deny and erase self-expression and identity. For Black People and People of Color, especially indigenous Women and Trans persons these problems intersect and are even greater. 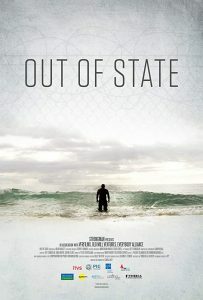 Through film those affected can affirm agency and resist the systematic silenceing and erasure of their voices. 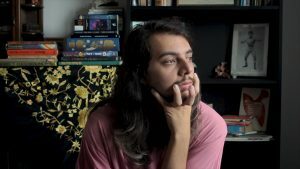 By telling their collective stories and shedding light on injustices that occurred historically and until today as well as on the various forms of resistance against these, they can reclaim space and control their own narratives. Thereby ultimately empowering themselves and others within these communities. The events will take place in spoken English. 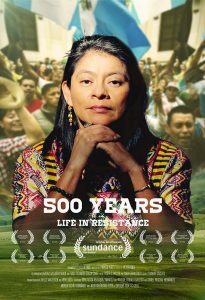 From a historic genocide trial to the overthrow of a president, 500 Years tells a sweeping story of mounting resistance played out in Guatemala’s recent history, through the actions and perspectives of the majority indigenous Mayan population, who now stand poised to reimagine their society. The epic story that led Guatemala to a tipping point in their history, from the genocide trial of General Ríos Montt to the citizen uprising that toppled President Otto Perez Molina. 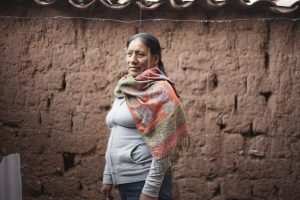 While indigenous peoples of Guatemala are no stranger to oppression, the recent events that took place over a tumultuous three-year span, change finally seems possible when their movement is met with civil society’s outcry to end corruption. Focusing on universal themes of justice, racism, power and corruption, 500 YEARS is told from the perspective of the majority indigenous Mayan population, and their struggles in the country’s growing democracy. 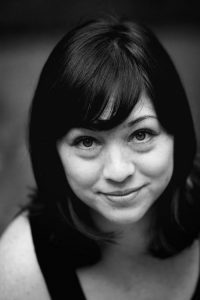 Coming from a multiracial background Viveka Frost is a documentarian filmmaker who focuses on minority voices who often go unheard. She broke into the film industry as a Production Designer, Producer and Actress in 2013 before making her way to cinematography and documentary filmmaking. With her Indigenous Venezuelan and Afro-Latino roots Viveka is passionately addressing Indigenous issues, such as identity, stereotypes, decolonization and cultural isolation. Pamela Yates is the Co-founder and Creative Director of Skylight, a non-profit human rights media organization that combines the cinematic arts with the quest for justice to inspire the defense of democracy. She is the Director of the Sundance Special Jury award winning “When the Mountains Tremble”; the Executive Producer of the Academy Award winning “Witness to War”; and the Director of “State of Fear: The Truth About Terrorism”, which has been translated into 47 languages and broadcast in 154 countries as well as winning the Overseas Press Club Award for “Best Reporting in any Medium about Latin America”. 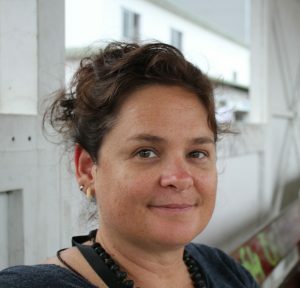 Her film “Granito: How to Nail a Dictator”, for which she was awarded a Guggenheim Fellowship, was used as key forensic evidence in the genocide trial against Efraín Ríos Montt in Guatemala. 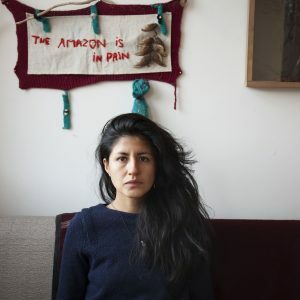 Her third film in the Guatemalan trilogy, “500 YEARS” had its world premiere at the Sundance Film Festival, was released theatrically and was broadcast on PBS’ POV series. 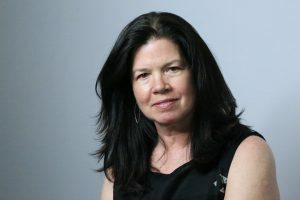 Pamela is a member of the Academy of Motion Pictures Arts and Sciences, Writers Guild of America, and the International Documentary Association and she has designed and currently leads the Hedgebrook Women’s Documentary Film Lab and Retreat. Almost normal. Almost acceptable. Almost indigenous. Half, a quarter, a fraction, a piece. 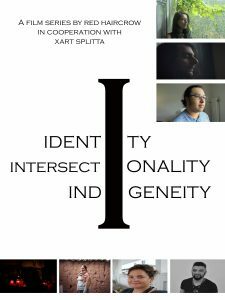 Gender, sexuality, ethnicity, cognitive or physical abilities. Toxic beliefs, ableist and racist structures in society continue to harm. Some are embracing their differences in order to heal. Manuel Ricardo Garcia (Jicarilla Apache, Coahuiltecan & German) born in Munich Germany with Family in Chihuahua Mexico. 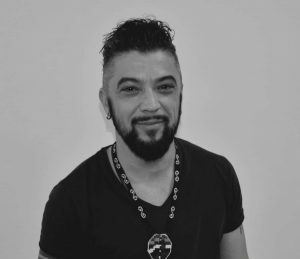 Manuel is a Trans*activist, Photoartist, two spirit & active in the LGBTIQA* Black & POC community. More about Manuel Ricardo Garcia’s work here. Ciara Lacy is an award winning native Hawaiian filmmaker whose interest lies in crafting films that use strong characters and investigative journalism to challenge the status quo. Ciara holds a BA from Yale University, and graduated from Hawai`i’s Kamehameha Schools. She is a Lecturer at the University of Hawaii West Oahu in the Academy of Creative Media, and has spoken around the country at schools on native storytelling, women and film and using media to empower communities. Matilde Umeres returns to Pantipata, her native land after twenty-two years. She left at the age of nine in a two days’ bus journey to the capital of Peru, Lima. 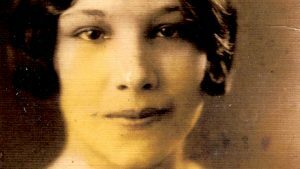 She arrived in the capital without speaking any Spanish only her native Quechua, language of the native indigenous people of the Andes. She will not forget this language and after some years it allows her to find her family after hearing the news of her mother’s funeral. 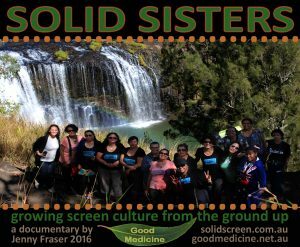 We get an insider perspective of the lives and screen work of the SOLID SISTERS as they gather at Innot Hot Springs in Far North Queensland for a healing retreat and festival. SOLID SCREEN was set up as an effort toward the maintenance of screen arts culture from the ground up, and also to recognise and acknowledge the historically important greatness in the field of work made by and for the screen. 2014 saw the birthing of the inaugural SOLID SCREEN gatherings. This was a very unique proposal and it provides audiences with a snapshot of the niche artform areas of experimental screen practice and storytelling by Indigenous Women Internationally. Ingrid Pumayalla (Trujillo, 1989) is a Peruvian artist working and living in London. Her work has been part of the Art for the Environment Festival at Bow Arts, 2018 also exhibited at the 12thIndigenous Film Festival in London, 2018. 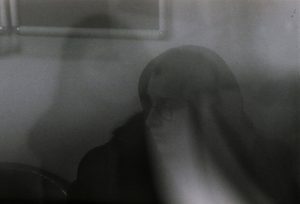 She holds a MA in Fine Arts from Central Saint Martins, London (2015) and BA in Photography from the Institute “Centro de la Imagen”, Lima – Peru (2012). She uses performance, photography and moving image to address migration and diasporas, and how the loss of home re-structures and transforms identity. Her work explores the role of art in transforming and repairing loss. More about Ingrid Pumayalla’s work here. Jenny Fraser is an artist from the East Coast of Australia. She was born in Far North Queensland and her old people originally hailed from Yugambeh Country in the Gold Coast Hinterland, on the South East Queensland and New South Wales border. She is an award-winning filmmaker and screen artist who founded online gallery cyberTribe in 1999, the Blackout Collective in 2002, and World Screen Culture in 2015. She is on the National Advisory Group for the Centre for Indigenous Story, an Associate Member of the CCA at Latrobe Uni, and 2015-2017 Adjunct Research Fellow at The Cairns Institute. 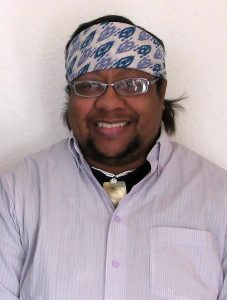 Red Haircrow is an award-winning writer, educator, filmmaker and chef of Native (Chiricahua Apache/Cherokee) and African American heritage who holds a BSc in Psychology, counsels selectively and is a Master’s student at Montana State University Bozeman, Native American Studies. Their research foci include Native/indigenous inter-generational historic trauma, mental health, GLBTIIQ needs and suicide prevention. Member of NAISA, SIP, APA, & Secretary Elect 2017-2018 for the Native Research Network, Red remains active in Native American and intercultural education on culture, history, and current events on both sides of the Atlantic. Currently based in Berlin, Germany, through their multimedia consultation company, Flying With Red Haircrow Productions, Red explores and pursues opportunities for collaboration in education, film, art, music and more.